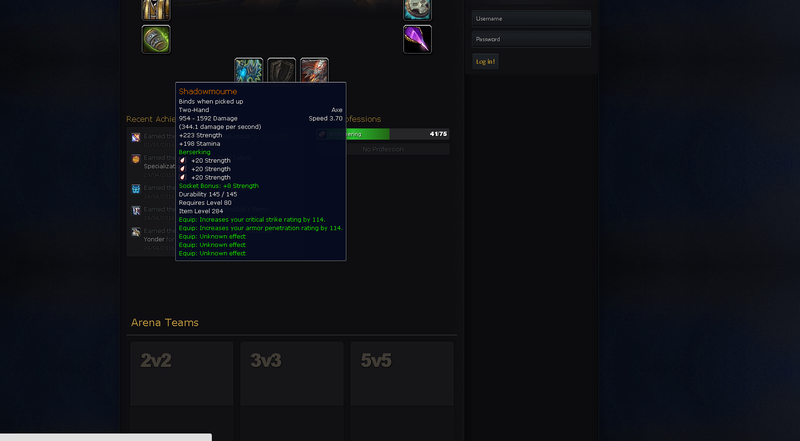 That is the armory only work part of the talents and glyphs if I change the part of "spec" to "talentGroup", "speccount" to "talentGroupsCount", "activespec" to "activeTalentGroup" I've tried to do this but i can not solve! Could anyone help me on this? Last edited by NewbieW; 04-23-2016 at 01:07 PM. I did what you told me and I still of that mistake! I never got how people got the talents tree working I could never figure it out. .
What this Rev. using the TrinityCore? I fixed this problem, if in case you want to fix send me a PM with your contact in Skype will send you for it!